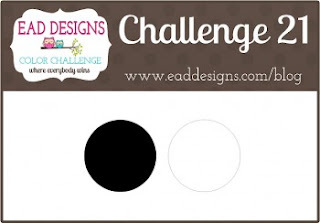 Hello and welcome to a new EAD Designs Colour Challenge. 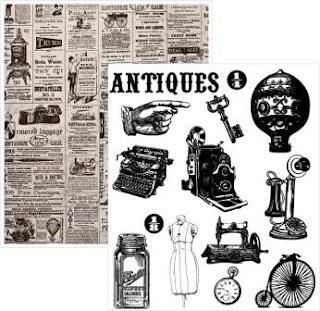 And the fun thing is, that EAD have these awesome co-ordinating Vintage Treasures Stickerz. 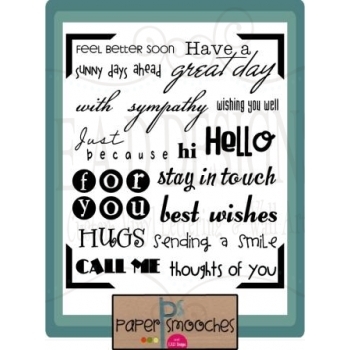 I kept my card very clean and simple and used a fantastic Rub-on for my sentiment from the Paper Smooches co-branding, called 'Thinking of You'. The little tab is washi tape. So classy Judith! I love the touch of washi tape and the PS steps is awesome. I love the variety of fonts. Swoon! 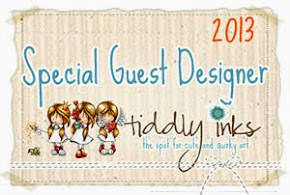 I love this, Judith, and that touch of washi tape is fabulous! Be still my heart, so graphic and clean! The washi tape is perfect too. This is the perfect clean and graphic card! I love it! ♥LOVE♥ the clean, classic, simplicity of this! and how brilliant to use washi tape to make the little tab! love it! love your CAS card, perfectly simple! Super fabulous!! Love that font! soooo wonderfully clean & crisp...that tab is thee perfect way to finish it off!